Mallory E astman is the primary author for KetoConnect. She has worked with the ketogenic diet and KetoCal since 2008, first in the Medical Affairs Department and more recently, in the Marketing Department. Mallory received her Bachelor’s of Science degree in Health and Exercise Science from Wake Forest University and her Master’s of Science degree in Health Communication from Boston University. Mallory has a younger sister with epilepsy who is on the ketogenic diet, so she also has a personal passion for the topic. She hopes that her communication skills and personal experience with the ketogenic diet be will helpful for other families at various stages of their ketogenic diet journeys. Lin da Leuffgen has worked as a nutrition specialist in Nutricia’s Medical Affairs department since the fall of 2013. Linda graduated from Montclair State University where she received her Bachelors of Science degree in Dietetics. Prior to joining the team at Nutricia, Linda worked as a clinical registered dietitian for 5 years at Hackenack University Medical Center. Covering many areas of the hospital, Linda’s favorite spots to cover were the pediatric floors; which included an inpatient pediatric epilepsy floor. Touched by many of her patients and their families, Linda strived to be more involved in the treatment for these children where nutrition management is the key for their well-being. This brought Linda to Nutricia, knowing this is a company with a large line of medical foods and supplements to help children with severe food allergies, gastrointestinal issues, neurological diseases, and inborn errors of metabolism. Here at Nutricia, Linda’s main focus has been in inborn errors of metabolism, but she still holds a strong interest for the ketogenic diet and how much it improves the quality of life for many individuals. 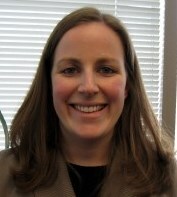 Sarah O’Brien has been with Nutricia since 2000. After joining Nutricia, Sarah spent over 10 years as a nutrition specialist focused on nutrition therapies for kids with food allergies, gastrointestinal issues, metabolic conditions and neurological diseases such as intractable epilepsy. 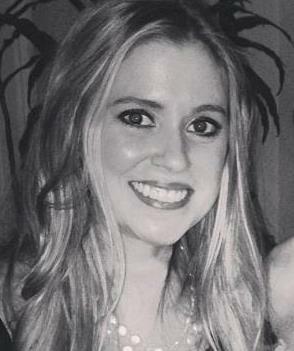 Sarah now works in the marketing department as the Digital Community Engagement Manager. Sarah received her Bachelors of Science degree with dual concentrations in Health Education and Community Health from Towson University. She has two young children, a son and a daughter. Her daughter was born with a cow milk allergy and needed an special formula, Neocate, until 12 months of age. Because of this experience, Sarah enjoys providing support to other parents navigating their child’s special diet because she knows how confusing and overwhelming it can feel.